Several websites collaborated together to share ideas for The Creation found in Genesis. On Day 2, God created the sky. Come and visit other websites to get different ideas and printables for God's wonderful creation! In Genesis 1:7-8, we are told that on the Day 2, God made a great area to separate the water which is the sky. Verse 7: Thus God made the firmament, and divided the waters which were under the firmament from the waters which were above the firmament; and it was so. God called the firmament Heaven. For today's printable, I created this Days of Creation Accordion. There are several choices. For readers, there is a fill in the blank. It is available in color or black & white. For non-readers, you can print the accordion with the basic information in each section. The student can cut and glue a graphic for each day. The basic accordion is the same for this option, but you can print the graphics in color or black & white. The student can add each graphic as you study to reinforce what you are teaching, or it can be used as review. Everything is in one download. Click here to download it. 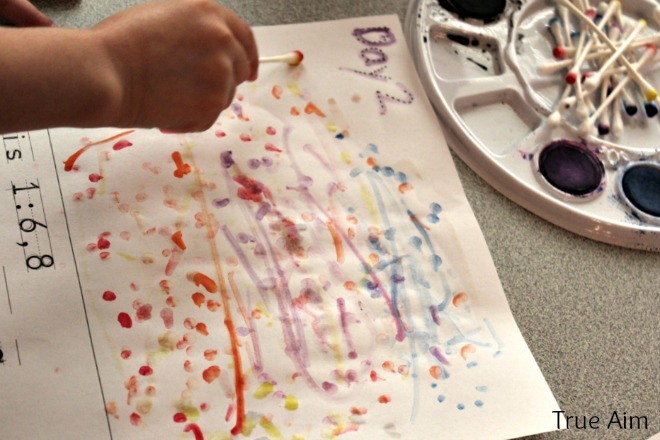 Visit True Aim Education to see a Rainbow Q-tip painting/ Why is sky Blue Experiment. 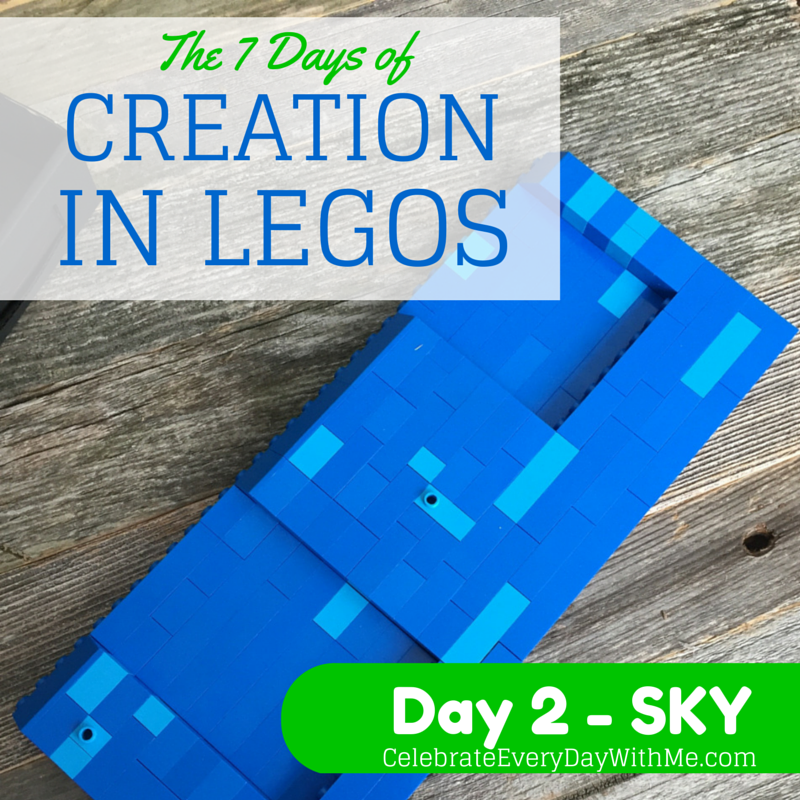 For all you Lego fans, visit Celebrate EveryDay With Me to build: Day 2 - with Legos! 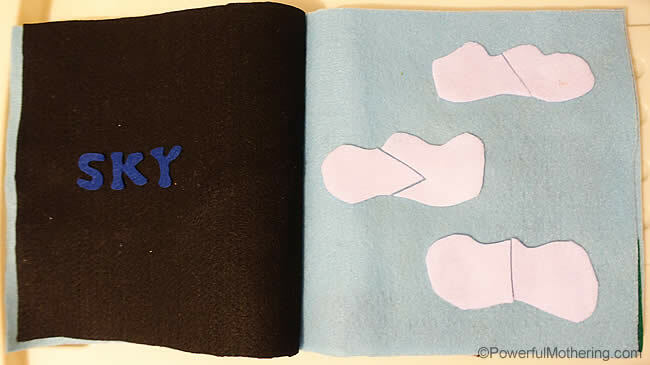 Powerful Mothering has a Creation: Sky - No Sew Quiet Book for Toddlers for Day 2. 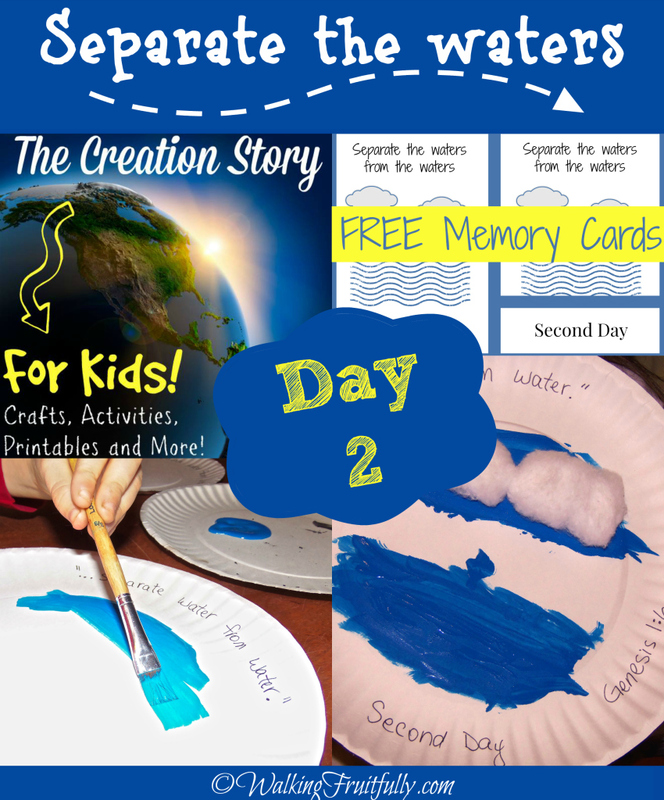 Click here to see Day 3 of Creation! I love your accordion! Thanks so much for creating for readers and non-readers. How helpful to parents! Thanks Kristen! So nice of you to stop by!